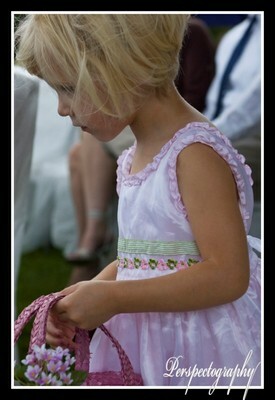 I've to post two different blogs with the wedding photos. It's less work. This was wedding number 3. It was fun and very unique. This was the second marriage for both the bride and groom. The bride moved here from Brazil. Since her family was still in Brazil, they set up a webcam for them to watch the wedding live over the internet. It was very cool. 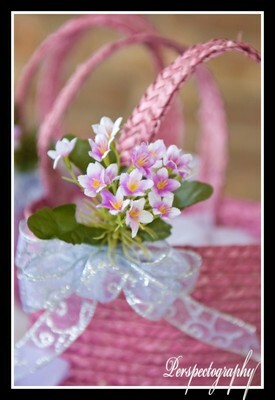 flower girls' baskets. When they got to the front, instead of sitting down, they kept walking around and around up at the front sprinkling pedals until the whole area was covered. It was too funny. 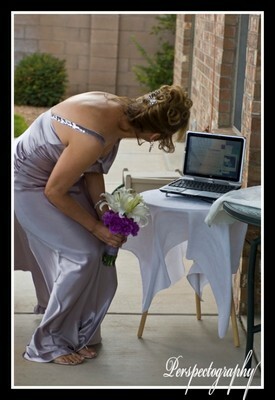 The bride stopping to wave to her family watching online before she reaches the alter. 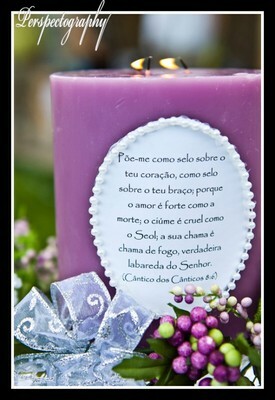 The Unity Candle. The front was written in English, the back was in Portuguese . This is my personal favorite - just because it captures the bond of love, trust, and intimacy between the couple. 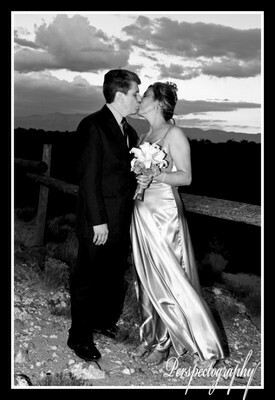 After the ceremony, we went the the Petroglyphs to take the bride and groom shots at sunset. There was one minor glitch - A rainstorm rolled in, and prevented the skies from having as much light as I wanted, however, the storm clouds provided very dramatic skies for the pictures....so it turned out ok after all.